After decorating each other’s yard for the homecoming of our own babies, the idea of Stork Worth was born. What better way to announce your newest addition than with an exciting, personalized stork announcement. Best friends and graduates of TCU, we both have a love for Fort Worth, fun surprises, and our newest love – babies. 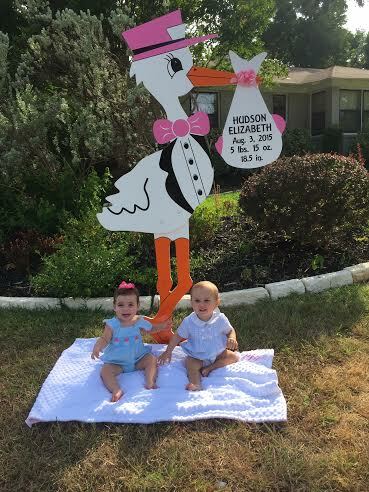 There is no greater joy than the arrival of a new baby, and we want to help your family celebrate with one of our personalized stork announcement sign rentals. Whether pink or blue, Stork Worth is ready to welcome home your new baby too!